We'll setup the HSQL Database, which is a file based database that cannot be used in production but is contained in the installation. Login to the Admin UI at https://localhost:6749/admin (or the host where the machine is deployed). Enter the username admin and the password you set during the installation. Changes menu, here the configuration changes are applied, viewed or cancelled. The User menu, manage admin users. Firstly, we'll setup a data source. Curity comes with a predefined HSQL datasource that can be used when working with a development instance. Click the Facilities button to the right and click "New" in the data-source section. Give it a name (eg. 'main-ds') and click create. 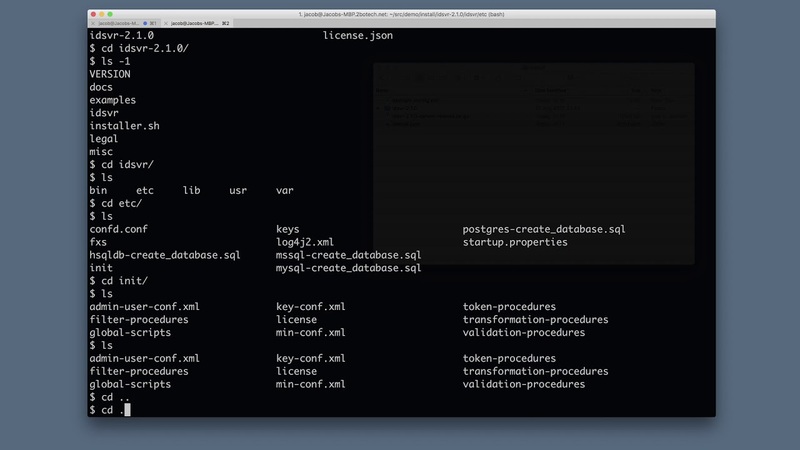 Now you can configure a datasouce, we will setup HSQL which is a jdbc data-source. Then click Close in the bottom of the modal. Whenever changes are made in the UI they are not deployed to the server until the admin commits them. They are kept in a transaction, that will be validated when committed. This ensures that all new configuration states are correct and that no config is invalid. You will be prompted for a comment. This is optional but useful if you want to rollback later. Add a comment if you like, and then click OK.
All changes are now applied. In order to use Curity, we need at least one runtime node configured. We can use the admin node as both runtime and admin, but creating a service with the same name as the admin node. Note: The name of the server should match the -s parameter used when starting Curity. In a default installation this is admin. Select the default-admin-ssl-key for now as the SSL certificate for the admin node. This can and should be changed later. Close the dialog and commit the changes using the changes menu as before. Now you should see a new node called admin in the list of servers.